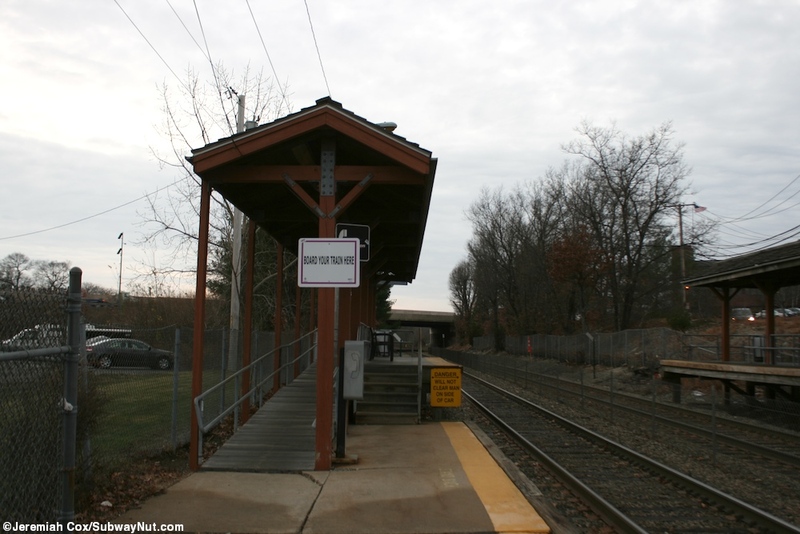 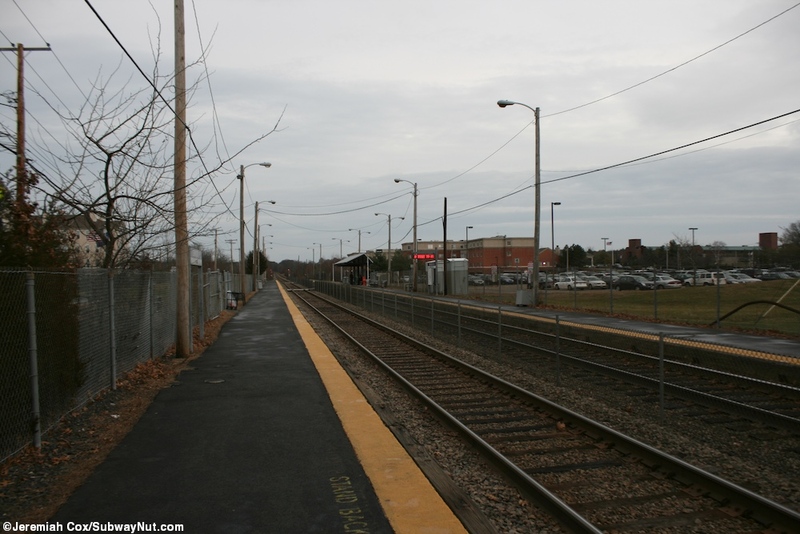 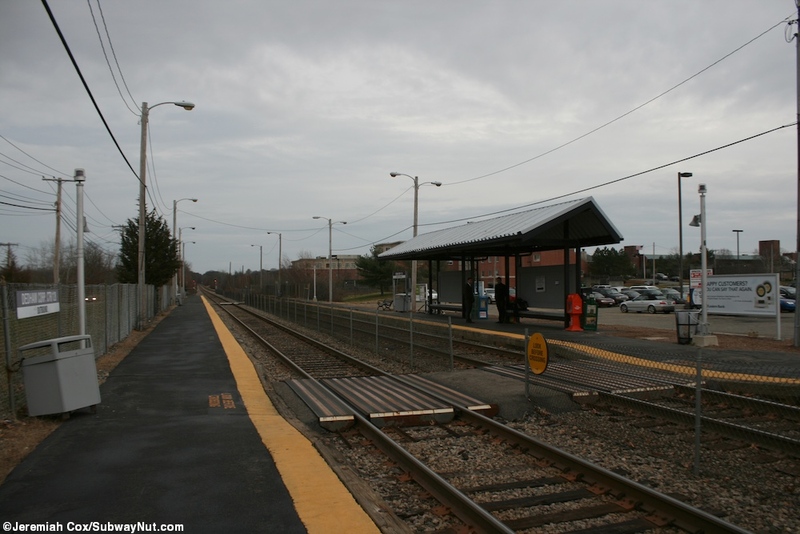 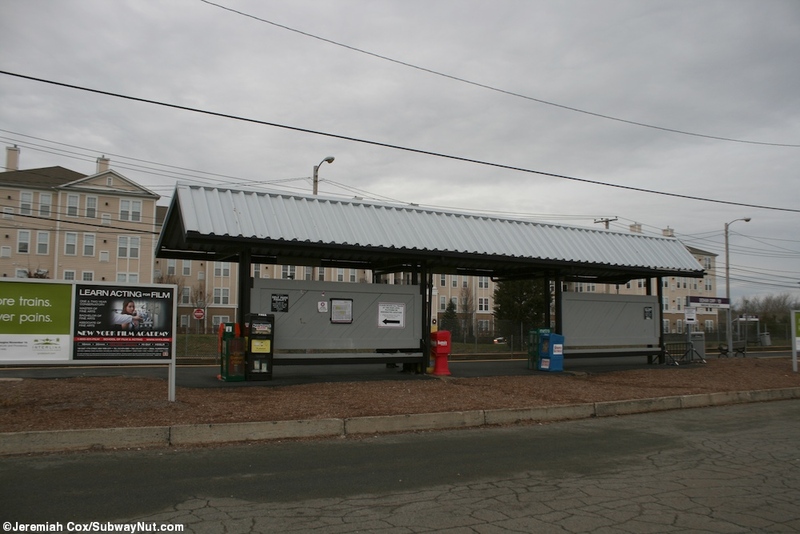 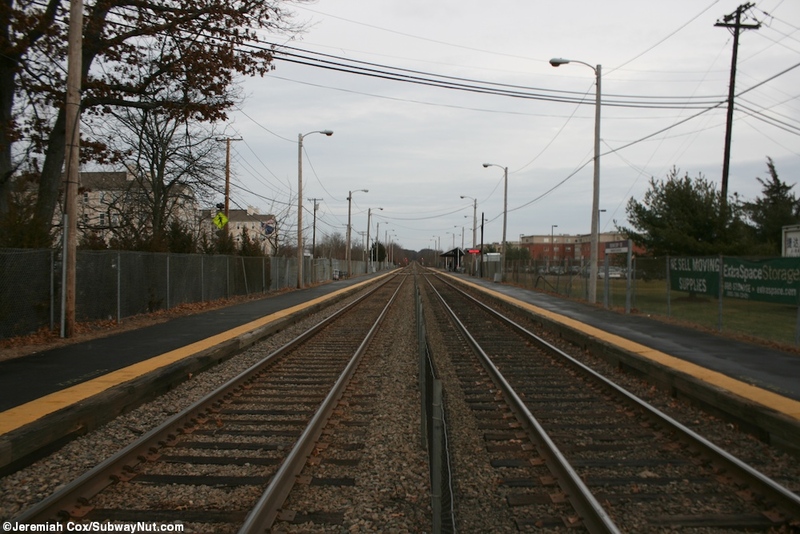 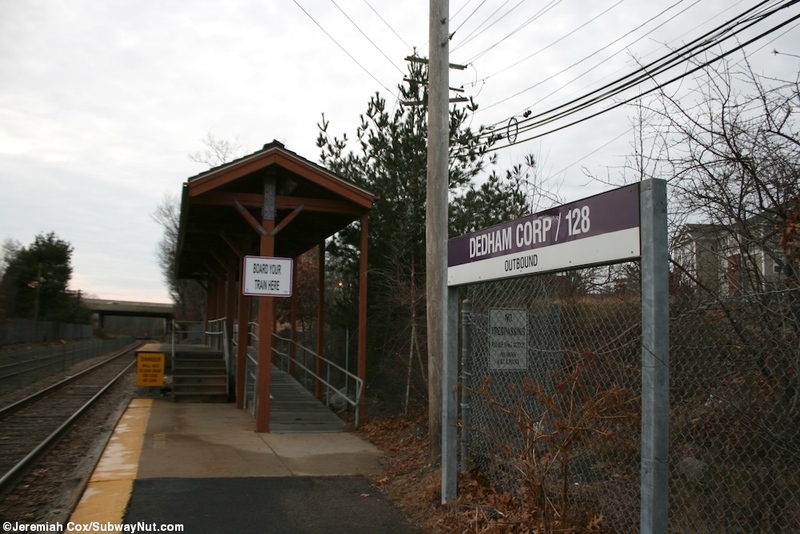 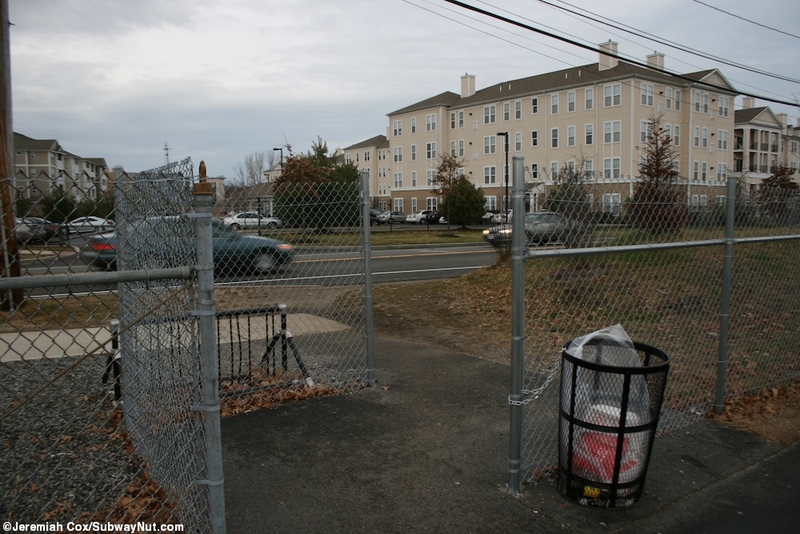 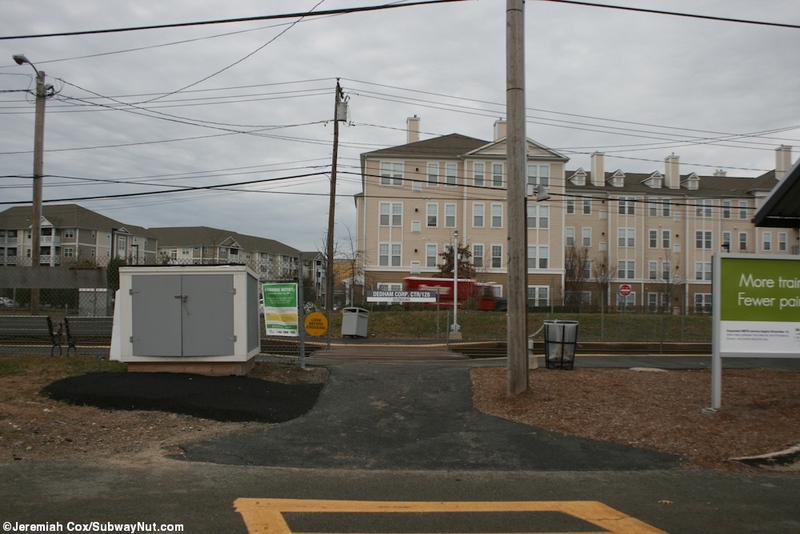 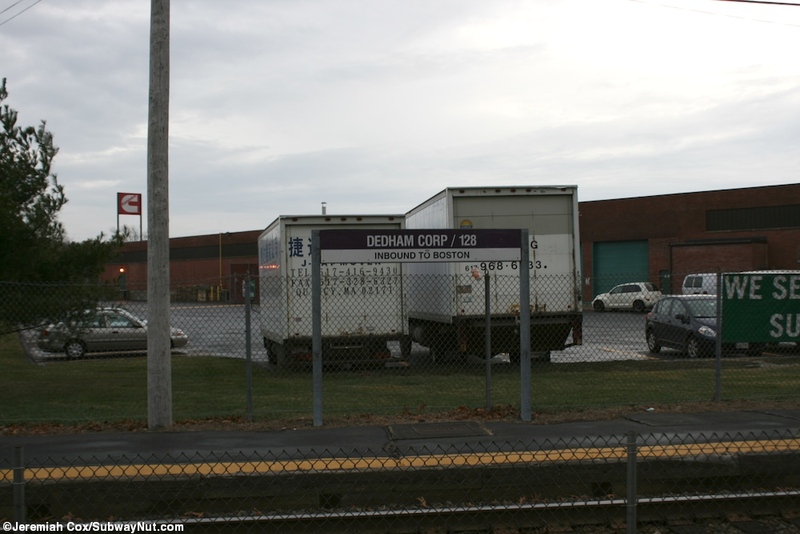 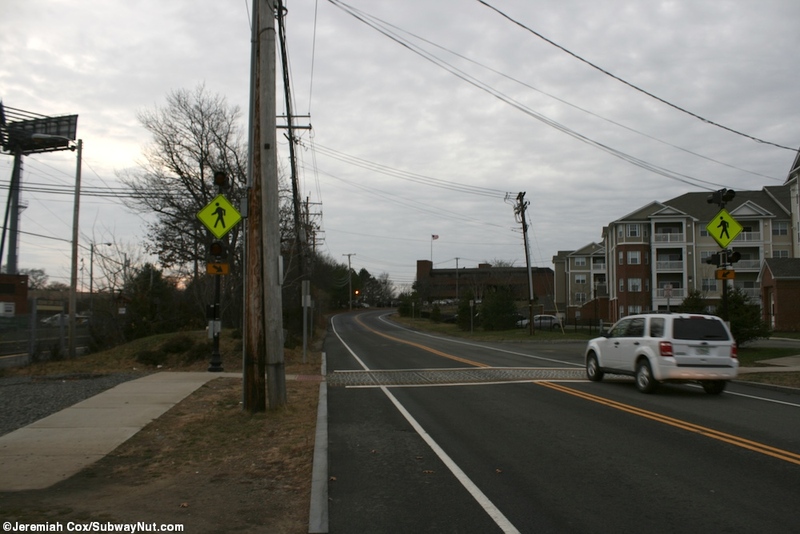 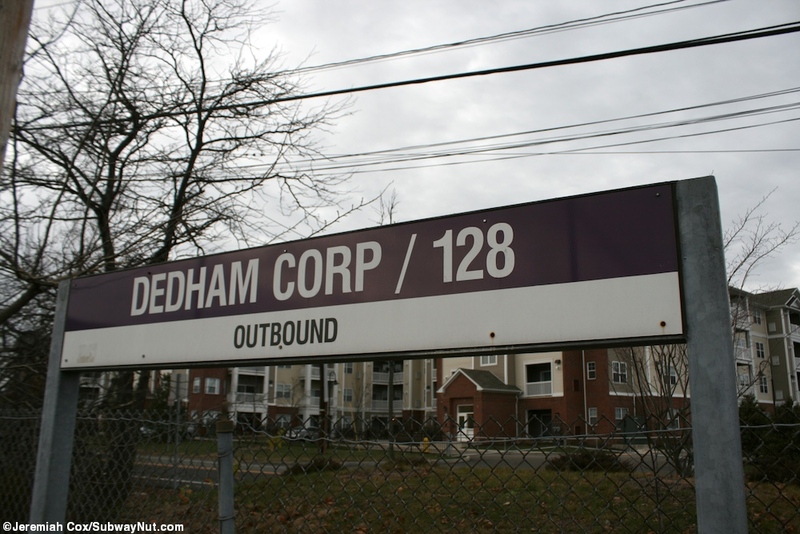 Deadham Corp/128 is a Franklin Line station that serves outlying development along the Route 128 Corridor as well as a park & ride. 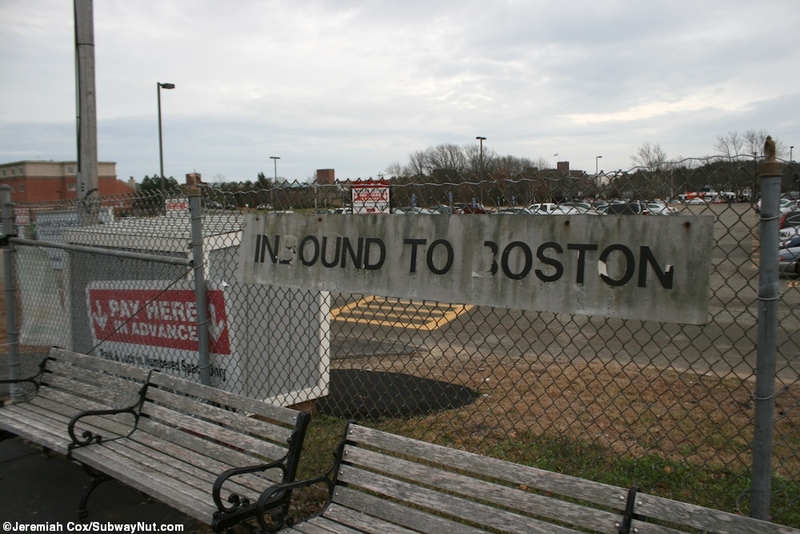 It opened on January 15, 1990. 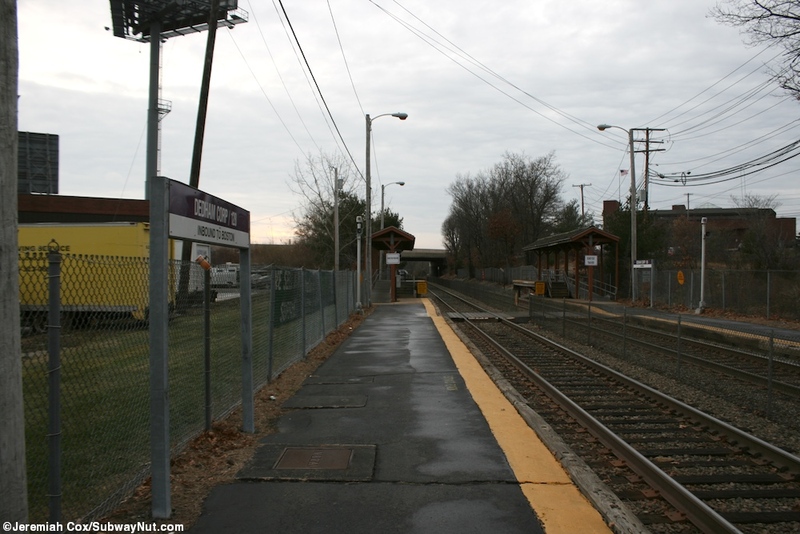 The stop has two side platforms that are low-level, and have just yellow painted non-tactile lines. 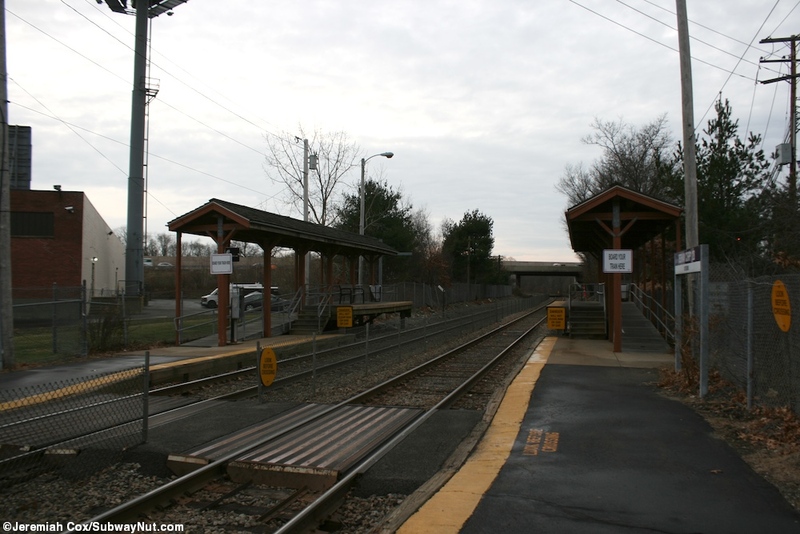 Each has little sheltered mini-high platforms at their outbound ends, which is signed to be the off peak boarding area. 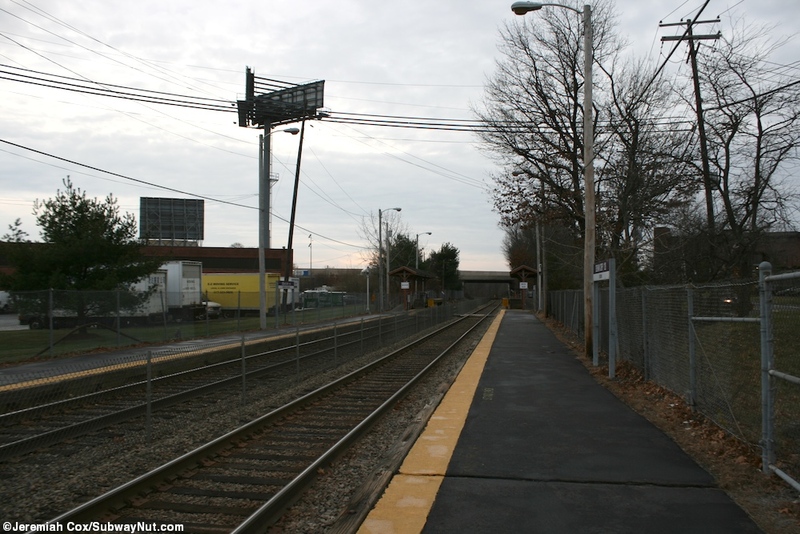 The platforms are connected by three level crossings throughout the station with fencing between the tracks at other locations. 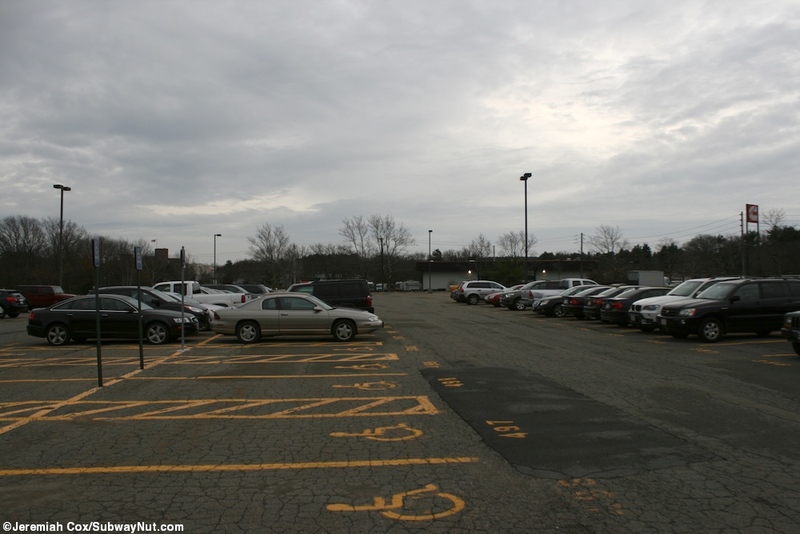 The main access is through the 497-space parking lot along the inbound platform that also has an additional sheltered area in the middle of it. 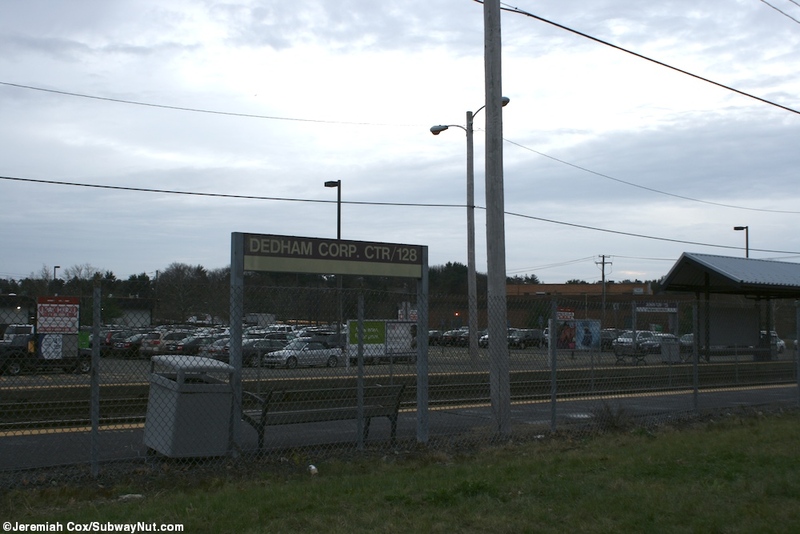 This is right off of Exit 14 of I-95/Route 128. 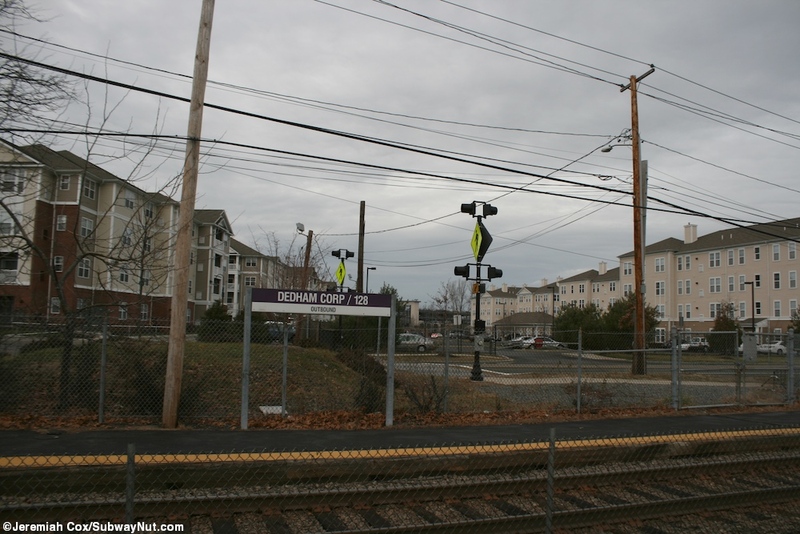 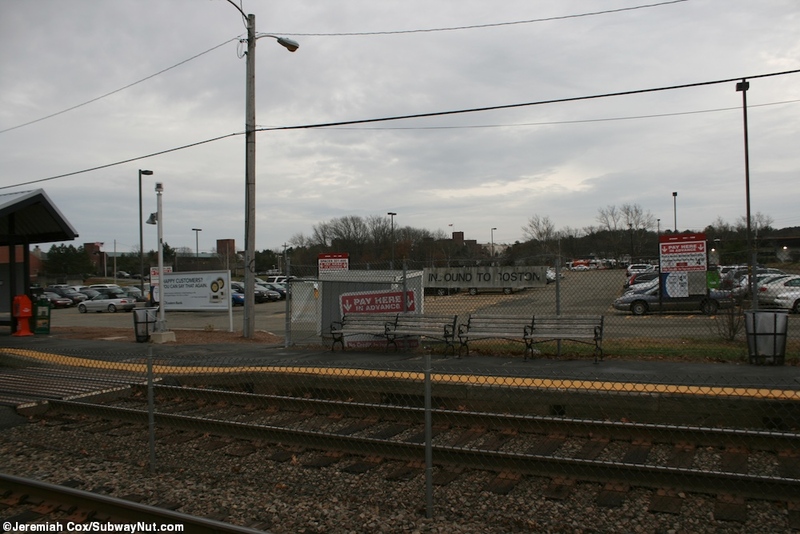 The outbound platform is along Rustcraft Road and a suburban commercial development with a nearby hotel and Legacy Place. 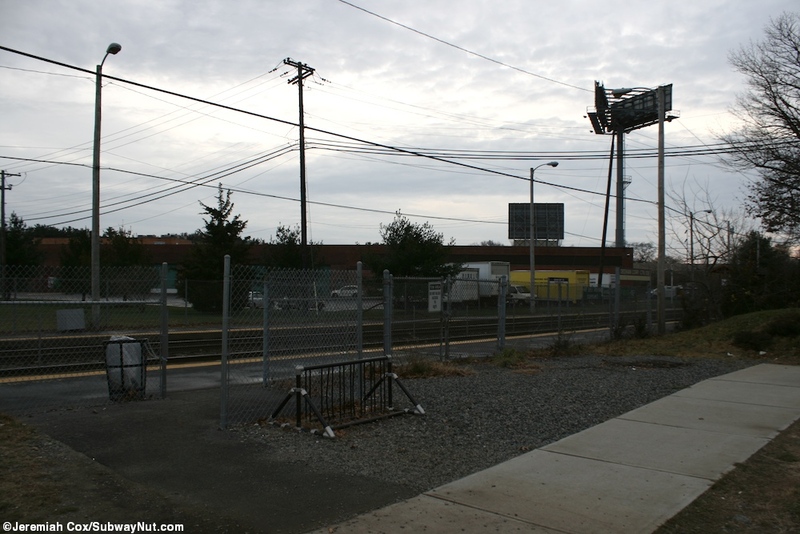 The platform along it is fenced except for one opening in it where there is a pedestrian street crossing and a bike rack.